CreateSpace Independent Publishing Platform, 2017. I was born in the high desert, surrounded by fossil beds and rainbow mountains. I witnessed an exploding volcano cremate itself in a glorious eruption. The smelt were the first to go, once making the river turn silver, then the Salmon... then organized labor collapsed like a faltering lava dome. The lumber and paper town I grew up in built a shopping mall on the ashes, then devolved into a tribe of box stores and called it growth. It's not really surprising, since the town was built on swampland, filled in with dirt that had been excavated from a mountain that was once a Native burial site. Shall I own the past that was never mine? I had no choice, none at all, it's not my fault. I'm not responsible. i am not done with it, though. I write in the Pacific Northwest (of the USA). I was VP-Programs for Willamette Writers and taught novel and character for Clark College in Vancouver, Wa. Most recently I have been a reader for Timberline Review a new literary magazine based in Portland, OR. The physical world inspires me. The natural environment of this ground in particular runs in my blood. There may be something genetic, or maybe it's just accidental, but it is there, nonetheless. When I watch people, I wonder what their lives are like when no one is looking. I wonder what events led them to stroll through the mall on a Tuesday afternoon - alone, yet surrounded by hundreds of other equally alone people. I get it when a cat crouches low in the grass, or a squirrel pretends to hide a recently obtained treat in five places before burying their treasure - but humans are not completely instinctive, and yet not without it. There was a time when I would sit at an old Formica-topped kitchen table - a legal pad before me, the lines like rows of freshly turned soil - my pen nearly ready to drip ink in a sort of sowing seeds way. These fields were always left abandoned, fallow - only a few times the whole operation was wadded up and thrown away. After that, came a time of escape - of creating whole new worlds to explore. Then came writing for challenge - for money, for fame. Now I write because I enjoy it. Because I cannot imagine not writing. I know that sounds cliche, but you asked and I told. I write for selfish reasons. I write for the young boy (yes, males will still read in the future) fifty years, maybe longer, from now. He makes his way through dusty stacks and finds my words - he nurses them and keeps the worn binding company in its final hours. I, too, derive inspiration from nature. Thanks for reading and commenting on Marine Forecast. Thank you for reading and commenting on Exploring Physics. Randal, thank you for your comment on "For Carol". I also really loved your declaration "Why Do You Write" on your profile page, especially the ending. Cheers from Berlin, mate. Hi Randal, Thanks for reading and commenting on Eight States Away - I really appreciate both! fos. Hello Randal - thank you for the welcome. Good to see a fellow Portlander. Randal, thanks so much for your recent comments about 3 Short Shorts. I appreciate it. Randal, Thanks for your thoughts about 10,000 Dollar Pyramid. I really appreciate it. Randal, so you are a Carver fan, too? Thanks for your comment on my little story. Randal, I loved your comment on Unpacking Sentences, as a slice through lava cake - that's a great image. So glad this piece worked for you and thank you for the fav! Are you nanoing? Thanks for reading "Convictions," Randal. Always appreciate your responses. Thanks for the fav for Musical. Glad you connected with it. Randal, thanks for the read. I doubt there will be reviews, but you've prompted me to at least look. Cape Cod is pretty dead in the winter, the old joke being in the summer you can fish and drink, and in the winter you can't fish. Randal, thank you for reading and commenting and favoriting "Dog Mornings" I'm very glad you enjoyed it! Hi Randal, thanks for the read and comments on MVMR, I really appreciate it. foster. Thank you for reading Phantom Soldiers. Yes, I agree. I had a full page, but didn't like it, so decided to see how it would look as a 55 word story. Will battle the longer version these next few weeks. Thanks for your comments on "Searching for Samuel Beckett" Randal. Randal, thank you so much for reading Redux - Things I Should Have Done #4 - newly retitled as Heartbreak Waiting To Happen. The fave is appreciated as are your comments about the arc of the men. Many thanks. Thanks for the comment on "Son of Uncle Sam." Glad you liked the poem, Randal! Randal, thank you! Love yr bio - great to meet you here. Hi Randal! Thanks for reading and commenting on Calluses ... I'm pretty new to Fictionaut so I'm just catching on to seeing comments and replying, but I love interacting with other writers, so your comment means a lot! Randal, thanks for reading & saying such nice things about "Naked Ladies." Randal, thanks for checking out the "too fast to be fat" essay and for taking the time to let me know you enjoyed it. It made my day to read your comment. Of course, some days are more easily made than others but it was good to hear from you. Thanks, Randal, for the comment on Escalation. I am so pleased those 55 words work! I had lots of fun with this piece when I wrote it for 52|250. Randal, thanks for the fave on "Class of '65." Hey Randal, thanks for reading The Last Time. Whhheeeat was how the idea for this flash started - my recollection of a derisive use of it as that's all there is in Kansas & nothing but. I decided to go the other way,make it sensuous, then the rest. Flash does that. Thanks for your comments on "Mosaic Thief," Randal. I appreciate it! Thanks for the very kind words on Responsible. I'm glad it struck a nerve. Thanks for welcoming me! I might upload a real pic later on, but I sorta look like this…I look forward to uploading stories. Never done anything like this before, just heard about it from mashable. I can't wait to spend more time here! Thanks for your comments on 'Now'. Thank you for reading Afghanistan. Much appreciated. Thank you so much for noticing and for the birthday wishes, yes, it is my birthday today! "Thank you for reading my stories and for your wonderful and helpful comments." Randal, Thanks for your note on my little short. (For some reason, I only now received email notification so sorry it's taken me days.) I loved what you wrote and appreciate you so much as a reader. Thanks for reading my Three Haiku. Yea, 4 lines, 20 words. thanks, Randal, for the comment on Time to Rest. It came together for both Oil and 52|250 all at once - gotta love it when that happens. Hi, Randal. Thanks for faving and for the great comments on "Self Alaska." Really appreciate them! Or how bout "Purple Micro Godot Dot"? Thank you for reading and faving In The Lake. Your comments on my work were just marvelous, and I will treasure your words! Thanks for commenting on "Augustinian Prayer Sonnet," Randall. Appreciate the fav! Glad you liked the joke! Thanks for the comment, and I appreciate the read! Thank you for commenting on "fire and ice". I really appreciate any input and suggestions that you may have. As I am just getting started I need all the help I can get. Hey, Randal. Thanks for the read and comment. Hey, Randal. Thanks for your poem about my "Found Poem"! Yep, happy endings are important. Sometimes. Thanks for the comment on Bedtime Story, Randal! Good to meet you here and at 52|250! Randal, Thanks very much for kind note on Crystal. I'm so happy to hear it continues to work with each read. Randal, thank you for reading Lake Chelan and feeling that story. I am so glad that the events of my story happen frequently in Washington State. I so liked what you wrote on your wall. Just so you know I had read Dear Planters a while ago and my comment didn't stick, but I will write it again! Thanks for reading The Naked Man of Barcelona and for your kind words. Glad you got a few laughs out of it. Thanks for reading my story, Randal and thanks for the kind words. Robert, thank for your warm welcome! Yoo Hoo for Portland Writers! Thanks Randal,I look forward to reading your work. Randal, thanks so much for reading and commenting on Girl (I know it's not exactly uplifting.) Welcome, here. I look forward to reading your work. Welcome to Fictionaut! I am psyched to read your work. 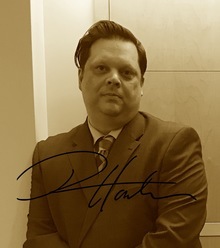 You must log in to write on Randal Houle's wall.